Margaret Nielsen, 2001. Bench and mosaic at Paseo Colorado, Pasadena. Stone and glass mosaic. 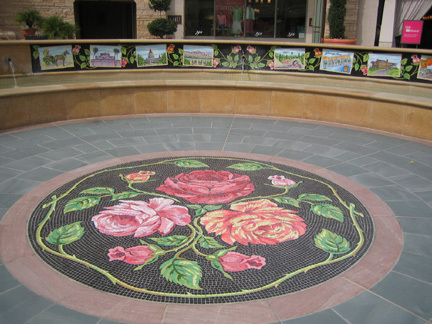 Commissioned by TrizecHahn Development Corporation under the City of Pasadena Public Art Program.